It’s exciting to be part of the Billions of Things trend, and potentially invest tons of money and resources along the way. As a technology business stakeholder and executive leader, you want great ROI for your R&D and production ready IoT projects. As a technologist, you want to avoid pitfalls, have a solid understanding of your business data and business processes, architect and design flexible solutions that can adapt to the super-fast and constantly changing World of IoT. Know your business and capabilities. Join the IoT megatrend. Spend Smart! An interactive session to address real-life experience questions and concerns. The main focus is to help enterprise better prepare for future IOT project planning, unblock IOT projects that cost tons of resource, time and money without immediate results and to better leverage existing in-house resources & for IOT related projects. Roxy Stimpson is a Vice President and CTO at IOT World Labs with 20+ years of experience in software development and design. IOT World Labs enables enterprises to turn their data into a competitive advantage — Gain Insights from data that drive operational performance, addresses new business requirements and delivers business results. Prior to IOT World Labs, Roxy participated in creating company visions and strategies; planning and building company technology and product roadmaps with C-level executives and business stakeholders in various capacities namely Enterprise Architect and Chief Technology Officer. Roxy helped enterprises, “Startups” and fast-growing companies succeed, cope and mitigate growing pain. A short list of companies Roxy had worked on projects with included Microsoft, Getty Images, ATI, SuperValu, Infocus, Providence, Xenon Arc and more. Roxy specialized in Enterprise Applications and Systems Integration including ERP, Logistics, Warehouse Integration, Continuous Process Improvement, End-to-end Software Development to Operation, Research and Development. Roxy is an active mentor on Everwise Mentorship Program. 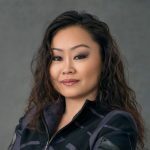 Roxy currently serves as the Area 53 Director, Pathways Ambassador and District 2 Toastmasters Speakers Bureau Chair 2017-2018 in Seattle, WA. Roxy holds a Bachelor of Science degree in Computer Science from the University of Washington. Roxy, a Vietnamese-American, and her family came to the United States 1993 as Vietnam War Refugees.